The MovieTickets.com Spider-Man:Homecoming Sweepstakes is open to any individual who is a legal resident of the continental United States (excluding Alaska, Hawaii, Rhode Island, Guam, Puerto Rico, and all other U.S. territories and possessions) and is twenty one eighteen (1821) years of age or older. 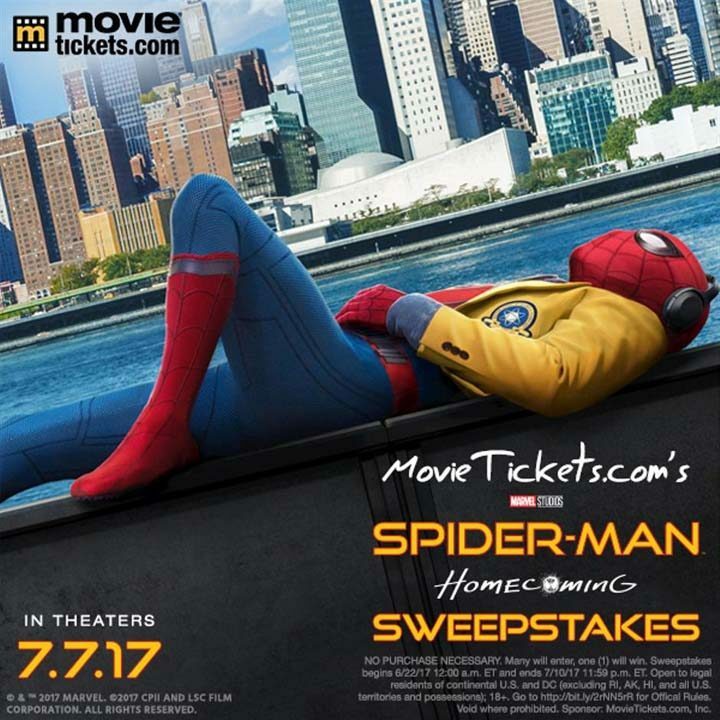 The MovieTickets.com Spider-Man:Homecoming Sweepstakes ends on July 10 at 11:59 p.m. ET. To enter the Sweepstakes visit movietickets.com/promotions/promotions/2017/06/15/spider-man-homecoming-sweepstakes to complete the entry form. Limit of one (1) entry per person and/or per email address and/or per household. PRIZE PACKAGE APPROXIMATE RETAIL VALUE: $4,500 USD.